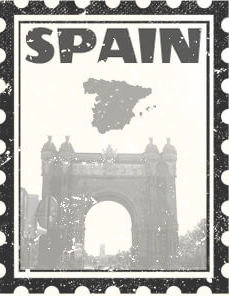 Spanish art is diverse and full of culture, practices and people. From tall buildings to fountain gardens, Spanish art makes beautiful cultural decor for the home and even office. 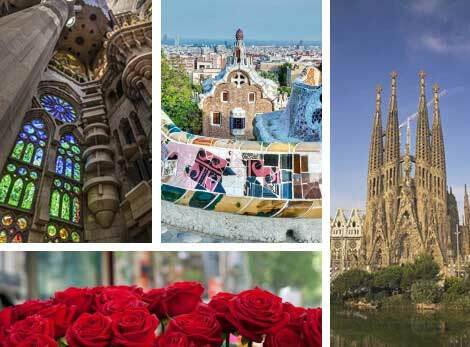 Browse through Spain art to see lively bullfights, beautiful architecture and gardens of Barcelona and other cities. The exciting and romantic Spanish culture is shown in artwork and can be displayed in your home to show your appreciation for the culture. From customs to dance and people, Spanish art is the perfect gift for loved ones who want to embrace their culture. 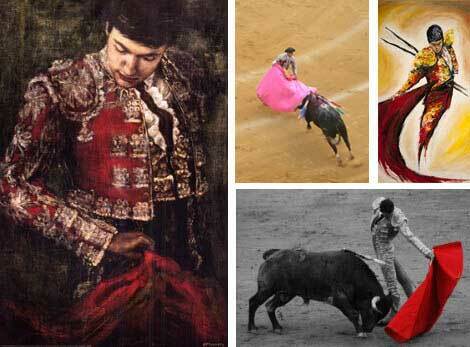 Bullfighting is an event that has been a part of the Spanish culture for thousands of years. Originally a sport, bullfighting was banned for being a bad example to public watchers. This is a game in which the bullfighter would prove they are superior and kill the bull. Barcelona is the second most popular city in Spain. This beautiful city is full of uniquely carved architecture, gardens and fountains. Barcelona art makes great gifts or decor for the traveler. Spanish Baroque art has a combination of religious images and well-known events. Spanish Baroque artwork was a big part of the Spanish Golden Age or Golden Century. Diego Velazquez is a Spanish painter whose artwork is well known in Spanish Baroque and the Golden Century movement. Salsa is a Latin American influenced type of partner dance that started in New York. Salsa dance shows intense connection between the dancers when portrayed in art. 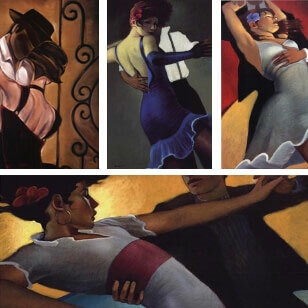 Salsa art is passionate which makes great decor for homes of couples. Flamenco dance is a cultural partner dance that originated in southern Spain. Flamenco dance artwork is full of big flowing dresses and women's fans. 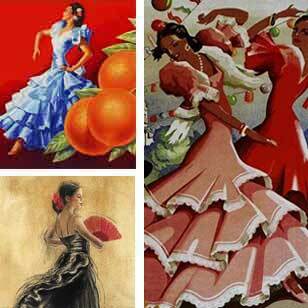 Primary colors that make up Spanish flamenco dance art prints are red and orange. The tango is a partner dance which was created hundreds of years ago and it is still popular today. 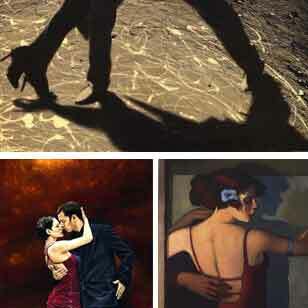 Tango art prints are full of excitement and love which makes them perfect gifts for newlyweds and decor for bedrooms. Tango is a big part of Spanish culture.